A declining player base. Multiple public-relations gaffes. And gameplay that still feels unfinished. Can PUBG turn its fortunes around, or will the game that launched a whole genre be remembered as just a flash in the frying pan? Last year, PlayerUnknown’s Battlegrounds single-handedly caused the “battle royale” genre to explode in popularity. But Fortnite overtook it just as explosively, and by the end of the year, the rest of gaming’s triple-A shooter makers will be in on the action, too. PUBG has struggled to retain players, but as initiatives like the new event pass aren’t leaving them satisfied , the future of the game that launched a genre looks increasingly uncertain. Since the start of 2018, PlayerUnknown’s Battlegrounds has been battling a decreasing player count. Steam Charts, a website that tracks a game’s concurrent players, shows PUBG losing players ever since February, dropping from an average of over one million players in that month down to around 800,000 in June. It feels like PUBG is losing its sense of identity in a market quickly filling with more battle royale games. One of PUBG’s reactions to the inrush of competitors has been to attempt to sue those competitors for copying its idea. Earlier this year, it sued developer NetEase over its games Rules of Survival and Knives Out. It also went after the biggest chicken dinner of them all when it filed suit against Fortnite maker Epic Games—which also makes Unreal Engine middleware that powers PUBG. PUBG Corporation has now dropped that case. However, the action has left players less than enamored with PUBG, adding to a perception that PUBG Corp is overly litigious. Ironically, it’s PUBG that is now starting to feel more and more like Fortnite. It recently added an “Event Pass” alongside the final release of its latest map, Sanhok. The $9.99 pass allows players to complete certain challenges in exchange for cosmetic rewards, a system comparable to the successful “Battle Pass” in Fortnite. It’s not the only change to the game that’s seen as reacting to the popularity of Fortnite, which offers a faster experience full of jetpacks, bounce pads, and punchy shotguns. Fortnite’s shorter matches are partially a result of its smaller in-game map. Following the icy reception of the massive desert map Miramar, which was so disliked that players deleted files from their game to avoid playing it, PUBG’s next map Sanhok was considerably smaller. The result was a map that was the community has largely embraced, full of gunfights and a quicker mid-game. But whereas Sanhok’s emulation of Fortnite’s faster playstyle was well received, the Event Pass has flopped. Cosmetics don’t seem to matter as much in PUBG as they do in Fortnite. The rewards of the Event Pass include a handful of new clothing items and some in-game currency, but it doesn’t offer the sort of limited bragging-rights rewards as Fortnite’s battle pass. The Event Pass’ addition of specific challenges for players to attempt might alter play in fun ways, but players are bristling at the fact that this progression system is tied to a $10 charge, considering that the base game is not free-to-play like Fortnite. The implementation of systems meant to increase revenue has rubbed many players the wrong way. It’s easy to see the appeal from the publisher’s perspective. A study reported on by gamesindustry.biz notes that 69% of Fortnite players surveyed had spent money on the game, averaging $84.67 per person. Battle passes have been well-received other places they’ve been tried. Variety reports that PUBG Mobile saw a 365 percent revenue increase after implementing its own $9.99 Royale Pass. But those games are free. It’s harder to ask that players buy passes when the rewards are less than exciting and they’ve already paid upfront for their game. In this light, PUBG’s Event Pass was always a gamble, one that seems to be going poorly for the time being. These PR missteps distract from the fact that PlayerUnknown’s Battlegrounds is a good game. The more methodical, position-focused metagame might be slower than games like Fortnite or Realm Royale, but PUBG appeals to players who yearn for something more tactical and less frantic. PUBG has retained an identity as a more deliberate and serious battle royale. But while that might have been enough when the market was young, it remains to be seen if being “the original battle royale” is enough. Tencent is already investing in Rings of Elysium, a PUBG clone that is nearly indistinguishable in gameplay but much less prone to technical breakdowns. And then there’s the looming specter of battle royale modes in upcoming AAA games, such as Battlefield V’s “Royale” and Call Of Duty: Black Ops 4's “Blackout,” also leaves PUBG in a tricky position. It might have been the first, but if someone can offer a similarly tactical but technically superior experience, PUBG could be in even more trouble than Fortnite is already causing it. 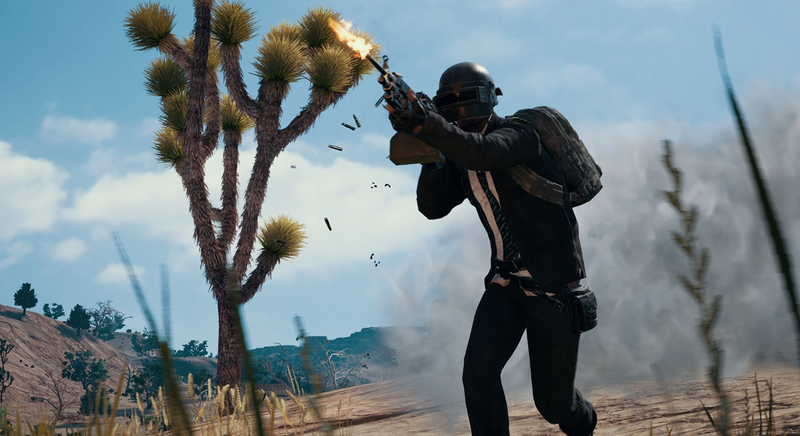 The perception that PUBG is less playable than its competitors has been a mainstay of player complaints on social sites like Reddit. PUBG’s massive success has not helped the game overcome technical hurdles. Players are quick to note these continued problems, pointing to them as the chief cause of the falling population. For their part, PUBG Corporation seems dedicated to solving this issue, even if it is not at the rate the community hopes for.